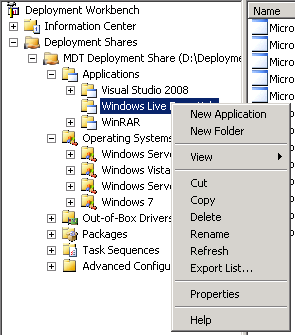 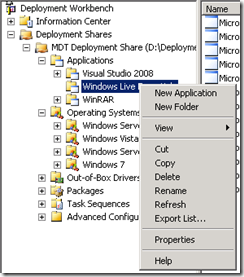 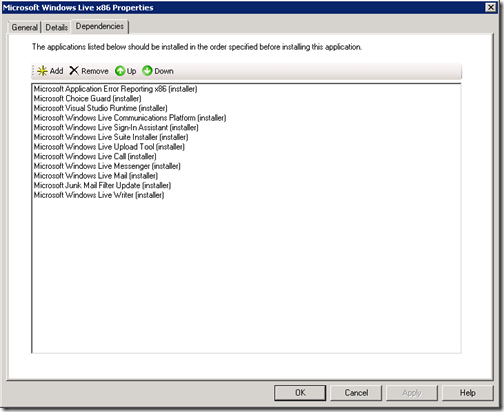 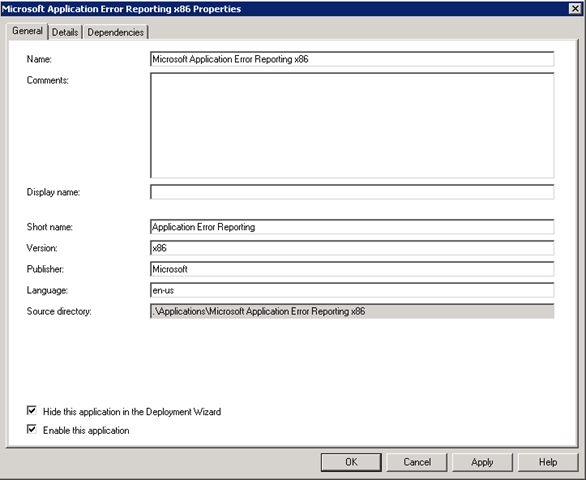 One of the more interesting things in MDT is the “Application bundle” application install option. 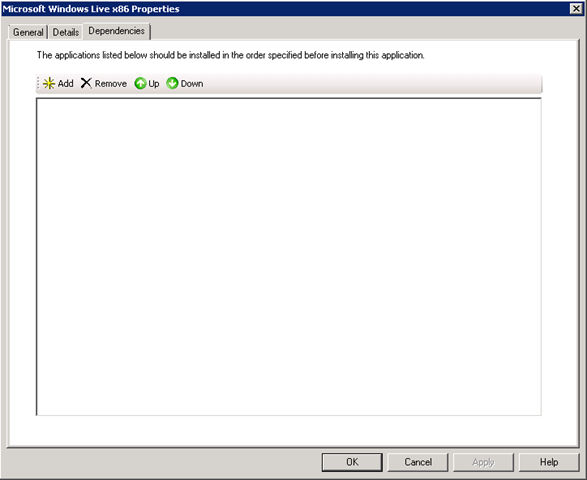 What an application bundle allows is the ability to install multiple applications, in order, as dependencies. 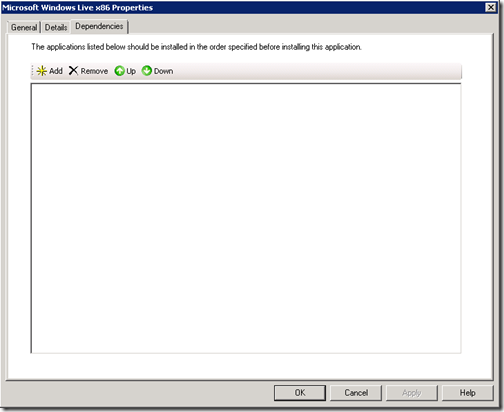 Think of it more as a logical container for applications that need to be installed, perhaps in a specific order, or as prerequisites for another application (like, for instance, installing Visual Studio 2008 prerequisites, Visual Studio itself, and then the latest service pack). 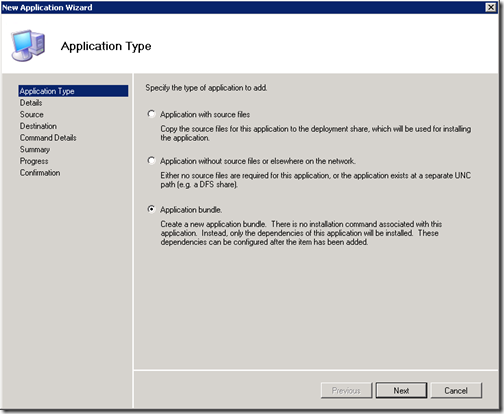 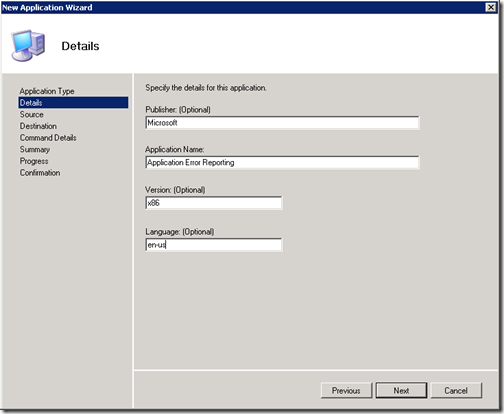 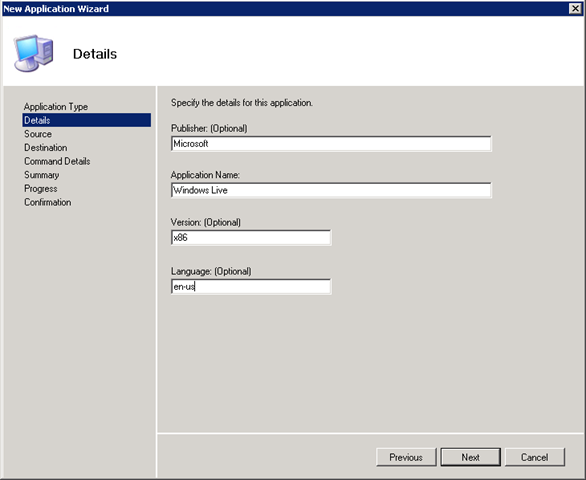 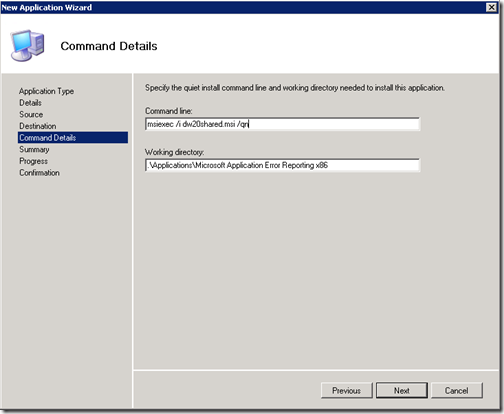 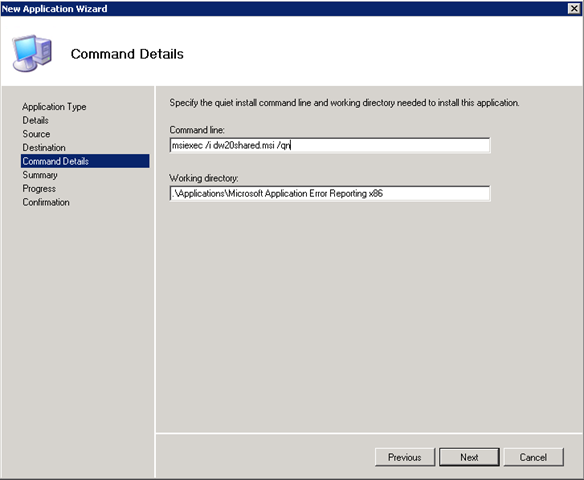 To create an application bundle that will show up in the list of applications to install (or be available to configure via a task sequence), you first need to add all of the applications to MDT that will make up the bundle. 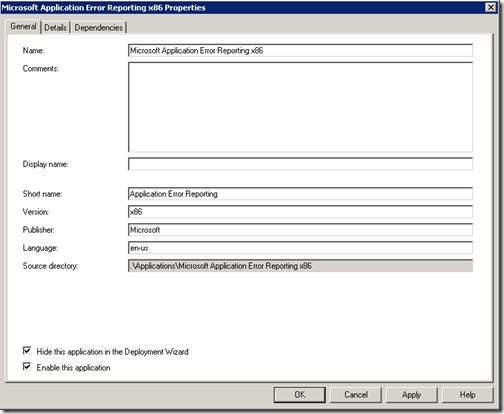 This is done similar to adding Office 2007 as I documented in my post on creating an MDT deployment point – you must create a New Application and add it’s source files to the deployment share. 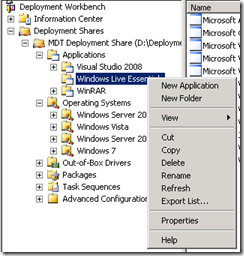 I’ll document quickly how to add the Windows Live Essentials components to your deployment share and “bundle” them (instructions on getting the .msi packages you’ll need from the Windows Live Essentials downloadable package can be found here, if you do actually want to try this). 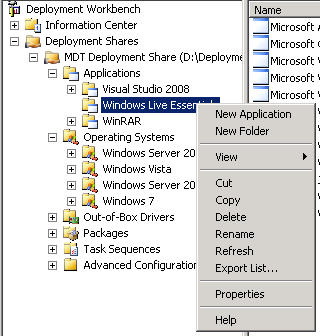 Lastly, right-click your deployment share and choose “Update Deployment Share” to update it, and also right click on your Media and select “Update Media Content” (again, as per previous posts on this subject). 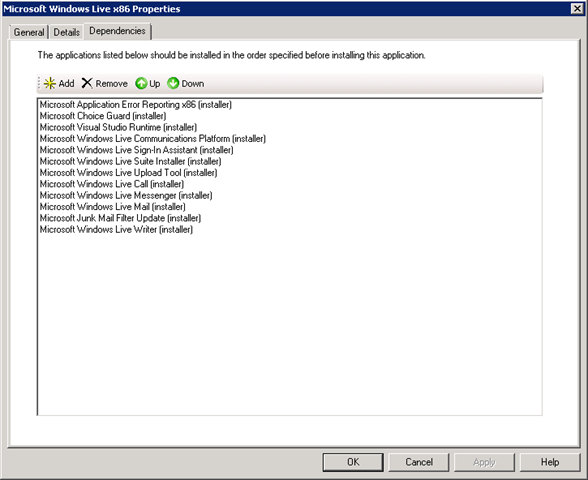 Once these complete, you can copy the updated media to your USB key, or burn the .ISO. 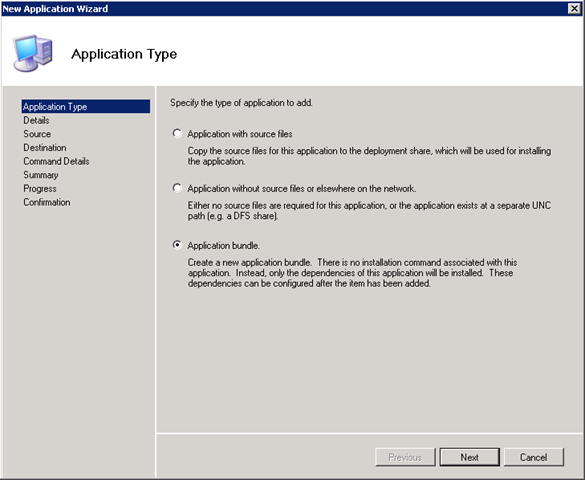 The new “bundle” will show up in the applications list during deployment, and will install each application, in the order it is listed in the “Dependencies” tab during deployment if it’s selected to be installed. 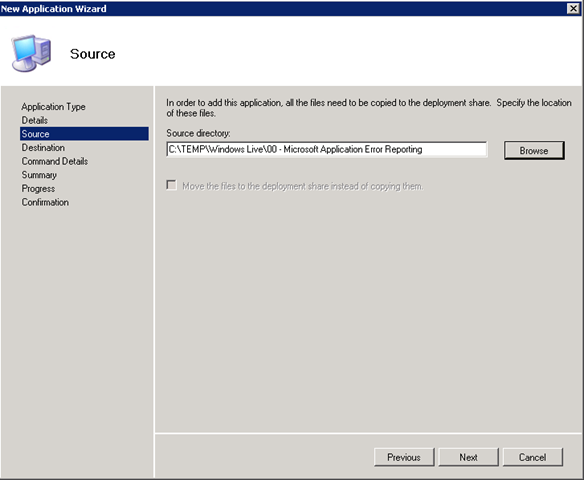 If you’ve got lots of applications that you deploy to each and every build you do, this is a great way to cut down on the clicking in the deployment wizard – or makes for fewer entries in your task sequences for applications.